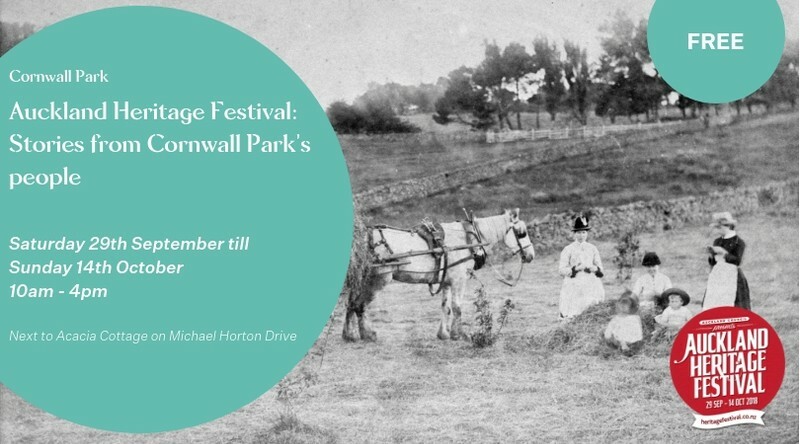 Auckland Heritage Festival: Stories from Cornwall Park's people. Have you ever wondered about the people of Cornwall Park? It’s much more than a single person’s story: it’s about the many figures who have shaped the park over the years and today. Since 1903, Cornwall Park has been host to many stories – for different people and at different times it’s been a home, a farm, a park, a hospital and a place for sports and recreation. Behind each of these changing functions, people have worked, played, lived, and even been born there. Join the Cornwall Park Trust Board to find out more about these personalities, and to understand how they changed the park.